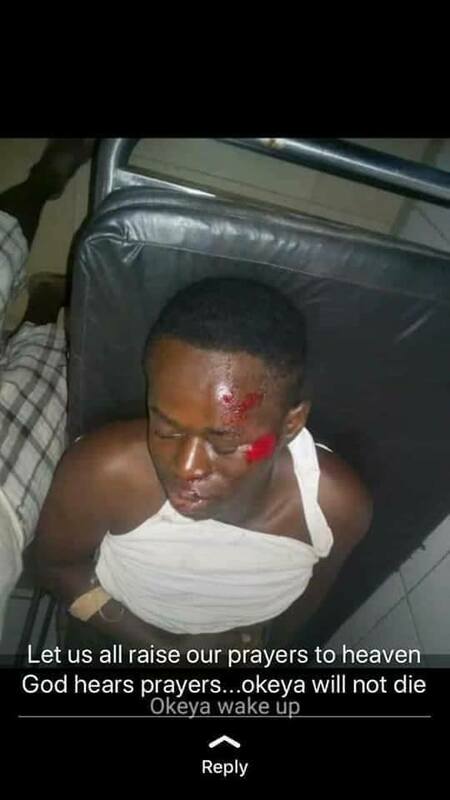 Okeya Adesina Peter, a graduate of the Nigerian Law School, Yola Campus who was called to Bar on Thursday, 29th November was beaten to coma and subsequently died as a result of the injuries he sustained in the early hours of Friday, 30th November 2018. The incident which occurred in Kubwa axis of the FCT is said to have been spurred by a scuffle he had with members of the local vigilante when they apprehended him for moving about at late hours. Sina as popularly known by colleagues was said to have gone out to celebrate with friends. 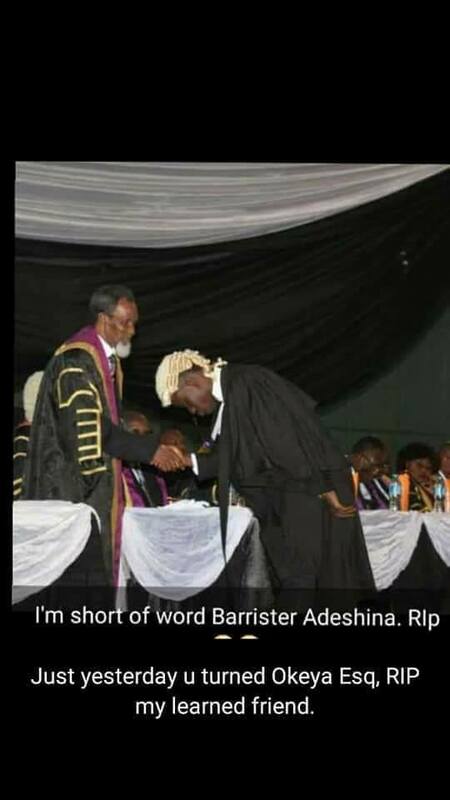 He was a graduate of law from Ekiti State University. Meanwhile, all his colleagues numbering over 4700 who were called within the outgoing week have vowed that those who occasioned their colleague an untimely death must have Justice served them. Many of those who schooled with him at the Yola Campus have described Sina as a humble lively young man. Information on the arrest and prosecution of the culprits has remained scarce but the incident has received a lot of criticism from the public and press; questioning the powers of the vigilante to torture, not just anyone but more a legal practitioner.